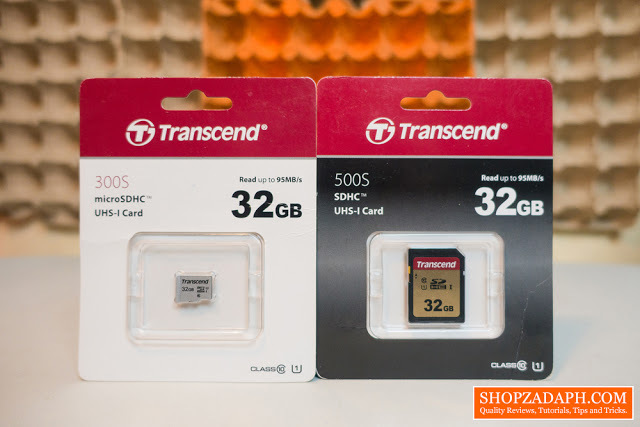 Earlier this year, Transcend released their new high-speed SD and microSD cards in the form of the Transcend 500S and 300S. Today, we finally got our hands on it and we’re going to dissect everything you need to know about these cards. We’re also going to determine which card on this series is the best fit for your needs and your gears. There’s nothing special when it comes to the packaging, we have the most important specifications in front and the card inside a plastic packaging. At the back, we have more information but what’s important here is the exact model number and the 5-year warranty details. 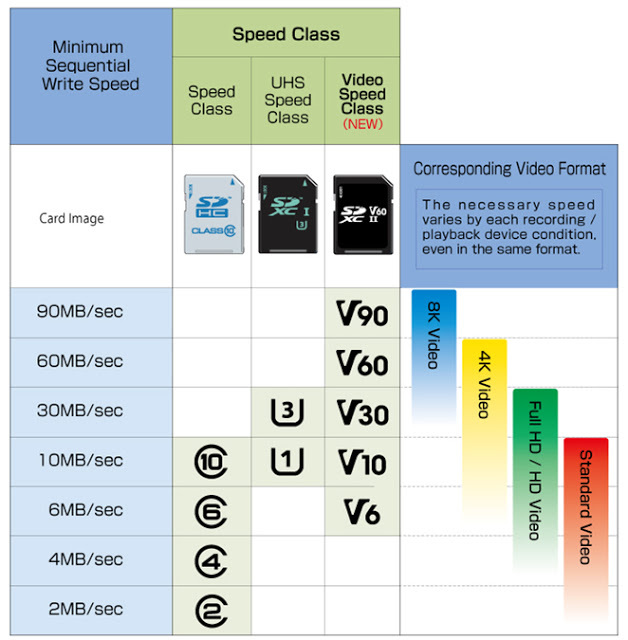 When it comes to memory cards, there are three kinds of speed indicators, Speed Class, UHS Speed Class, and Video Speed Class. These indicators will give you a proper understanding of what memory cards to choose depending on your use case scenario, the camera you’re using and the resolution you are planning to shoot with. Looking at the reference below, if you’re planning to shoot 4k video you can probably get away with a Class 10, UHS 1, V10 card, but I think it’s advisable to use at least a Class 10, UHS 3, V30 card to make sure it can keep up with the recording and avoid frame drops or even worse, stop recording issues. I encountered this before with my Canon 60D DSLR when I cheaped out and bought a Class 10 card with only 45MB/s speed. It eventually stopped working after multiple occurrences of the recording being stopped prematurely, because it simply can not keep up with the write speed demands of the camera. I ultimately spent more because I had to buy another card. 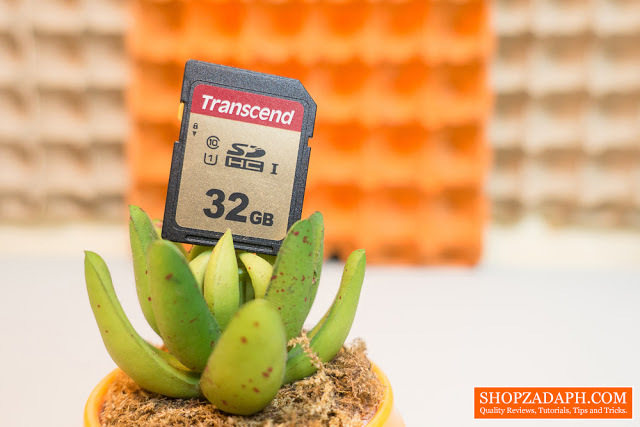 When it comes to microSD card, getting a cheap one will also give you problems especially if you want to use them as an internal storage. Apps will eventually start to crash, accessing files and images will be slow and the overall performance of the smartphone will be less than ideal. 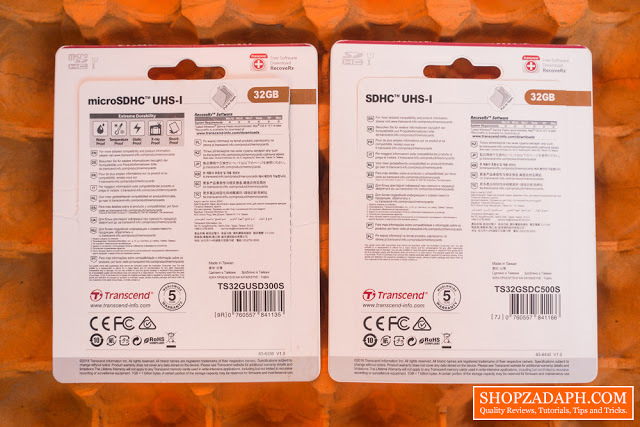 What we have here today is the 32GB version of these cards, which sits at the bottom-half segment of this series, it doesn’t have UHS Video Speed Class compliance for the SD Card, and the microSD card version of these lower tiered cards doesn’t have AI Application Performance compliance. UHS Video Speed Class compliance is only available on 64GB-256GB SD Cards, while the AI Application Performance compliance on the microSD Card is only available on the 128GB variant. But that doesn’t mean these cards can’t perform well, so read on to learn more. The Transcend 500S SDHC we have here is a Class 10 UHS-I card, which is ideal for Full HD video recording. It uses MLC NAND flash which is a nice middle ground when it comes to power consumption, endurance, and manufacturing costs compared to the higher tier SLC and lower tier TLC. 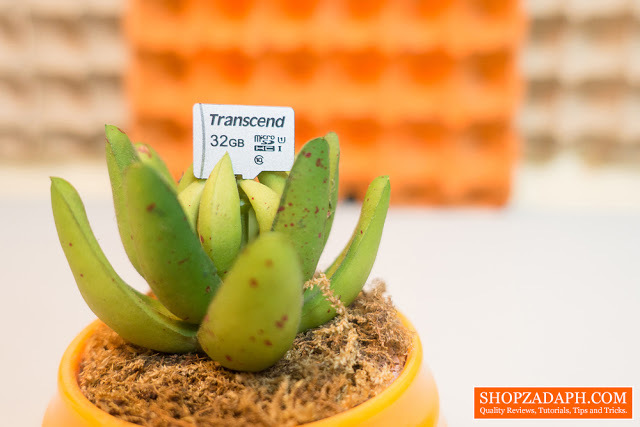 The Transcend 300S microSDHC we have here is also a Class 10 UHS-1 Card and uses 3D NAND Flash, but there’s no information on the official product page if it uses MLC or TLC NAND Flash. But it’s basically between those two as 3D NAND Flash usually uses MLC and TLC. Both cards are solidly built and can withstand extreme conditions. Both are IPX7 waterproof that can withstand immersion in 1 meter of water for up to 30 minutes, can operate on extreme temperatures of -25°C to 85°C, static proof, x-ray proof, and shockproof. But it’s still worth noting that even with these extreme capabilities, one should still be cautious in using these cards on such conditions, especially that you’re going to read and write important files on these cards. On CrystalDiskMark, which is one of the most reliable benchmarking tools that I use to measure sequential read and write speeds, both the Transcend 500S SDHC and the Transcend 300S microSDHC performed decently well around their base specifications of 95MB/s read. I also ran both cards on the ATTO Disk Benchmark tool, which measures the performance of the cards in various file transfer sizes so you can have an idea of how it performed across the board. For some of us who constantly formats our memory card in preparation for new shoots, projects, and whatnot, sometimes we accidentally delete some of our important files, and it’s such a hassle to try and recover them. While there are a lot of available recovery softwares out there, it’s nice that Transcend has its own software with the RecoveRx. RecoveRx supports StoreJet/SD Cards/CompactFlash Cards for File Recovery, Formatting, and Data Protection functions. 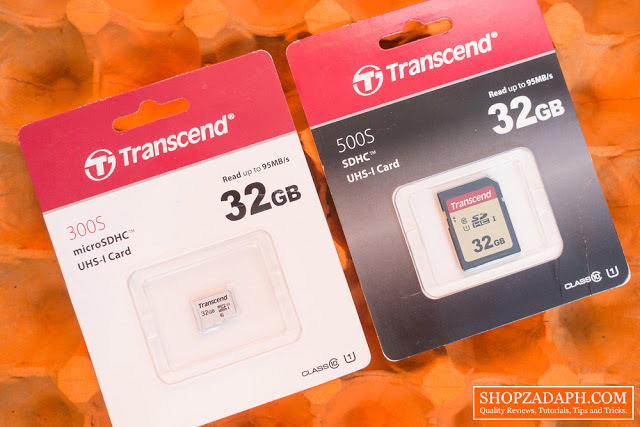 Regardless of your needs, whether it’s for your camera, smartphone, portable devices and things like that, both the Transcend 500S SDHC and 300S microSDHC cards are solid options, it is also backed up with a 5-year warranty which gives you that confidence with regards to the quality of the products. But you also need to line these up with your specific use case, you need to figure out the capability of your camera, the resolution your shooting with, and its speed requirements. Hopefully, this article gave you an idea on how to choose the right cards for your needs. Ultimately, don’t cheap out on your memory cards. Trust me, you’ll pay even more if you get a card that doesn’t match your gear.